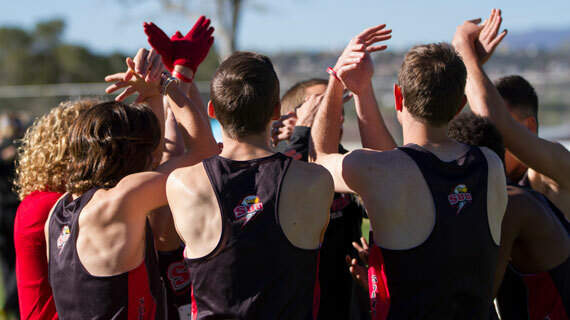 The Thunderbird men’s team continues to hold a high ranking in the U.S. Track & Field and Cross Country Coaches Association rankings after competing in the Big Sky Championships this weekend. The team currently 21st in the NCAA. At the competition, several individuals on the men’s team placed in the conference. Tre James ran in both the 60-meter and the 200-meter where he took the gold and the silver respectively. Justin Lewis competed in the 400-meter where he ran an altitude adjusted time of 46.84 also winning the gold. Mike Tate and Matthew Wright competed in the 5,000-meter where they took the silver and bronze medals. Tate also ran in the 3,000-meter where he placed as Big Sky Champion with a time of 8:30.84. Over the weekend, Frank Harris also took the gold in the high jump. He placed a school record breaking mark of 7’ 1”. Devon Montgomery placed third in the championships when he competed in the 60-meter hurdles. He finished with an altitude adjusted time of 8.04, tying for the school record. Overall, the men finished second in the meet with a total of 111 points, only behind Northern Arizona University. The team was followed by Montana State and Sacramento State. The field for NCAA Indoor Nationals has yet to be announced.